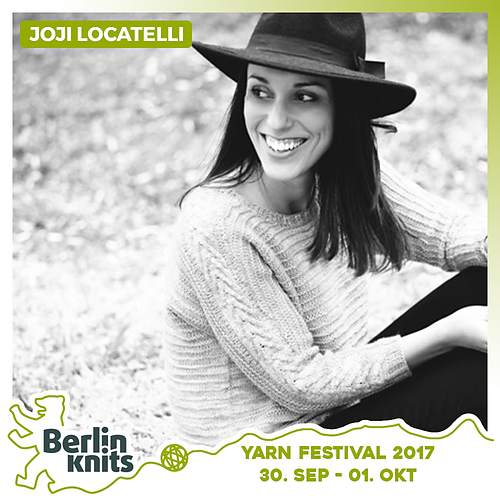 Joji Locatelli Approach to sweater design Ticket Joji Locatelli - Joji Locatelli - Workshops | Berlinknits - Yarn Festival 2017 - 30.9. - 1.10. In this workshop, we'll discuss my sweater design process from start to finish. This is a fun class for anyone thinking about designing their first sweater (for fun or for work), but also for those who are interested in knowing what goes on behind the scenes. How to find inspiration (Pinterest, fashion designers, brands). Following trends and adjusting them to what knitters want to knit. Important measurements to consider when designing (shoulder span, full bust, sleeve circumference, hip measurement, etc). Tables of measurements and their meaning. What is ease (garments don't always need to be the same size as the table of measurements!). Making notes for knitters on how to customize their garments (e.g. sleeve length, body length). Overview of different sweater constructions and how to choose the one that best suits your idea. What makes a design unique (small little details that make a design stand from others). Discussing some samples and their construction techniques. Basic concepts on grading patterns to different sizes. Using spreadsheets to grade a very basic pattern (converting it to different sizes instructions).